I'm back with another Simon Says Stamp Christmas Card. And today I decided to use a non holiday stamp! I chose the cute firework bursts from the Cupcake Party set, and thought they would make wonderful backgrounds for some die cut glittery stars, cut with the Large Holiday Shapes dies. I stamped the fireworks with Hero Arts new Silver Shadow Ink - it's AWESOME. And the sentiment is created with the cool Christmas stamp set. More to come tomorrow - see you then. Wow! Perfect CAS card! Love the soft colors and the glitter! Great ! Love this card. Love your fun use of a non-holiday stamp! Stunning, Lucy! Love the way you used the fireworks stamp under the glittery stars. I love the simple elegance of your card! The silver against a pure white background is lovely! Wow such an amazing card great idea. Thanks for showing. Stunning Lucy! 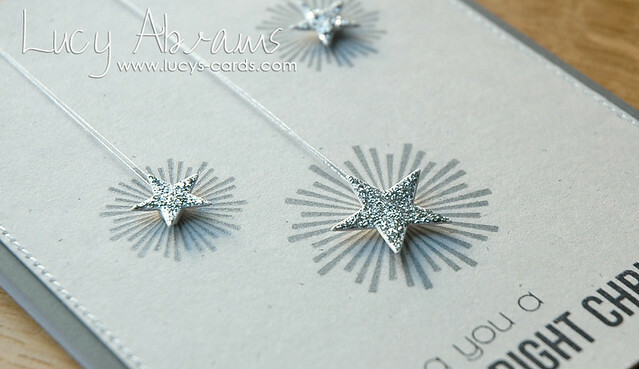 Love the sparkly stars popped on the bursts. 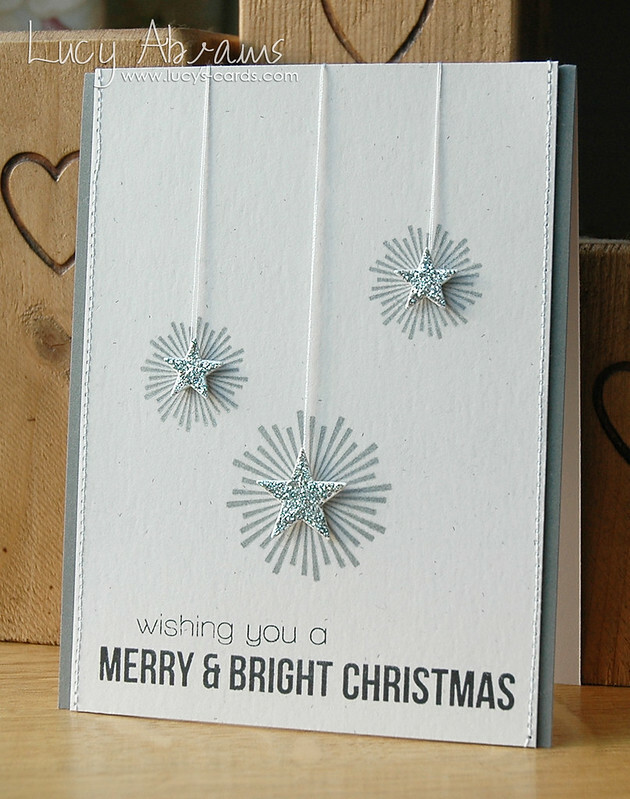 Gorgeous card, love the creative design with the glittery stars!!! So clean and simple - love it. A stunner. I love this so much! What a beautiful card.